1. Band des Standardwerks des berühmten französischen Tenorsaxophonisten Guy Lacour. Arrangement for Saxophone Quartet (A(S)/A/A(T)/B). 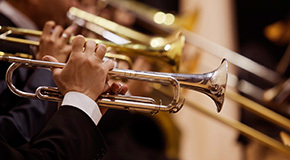 Whether woodwind or brass - here you will find over 65,000 sheet music titles for the flute, recorder, saxophone, clarinet, oboe, bassoon, trumpet, horn, trombone, baritone / tenor horn, euphonium and tuba, from instrumental method books to études, play material with and without accompaniment or multiple instruments, to reworks of current chart hits and playalongs.